I'm posting this update to address a misconception that due to us not updating the main site, the game has not been progressing. So if you require an up-to-date progress on the game, please follow our Social Media, not only the homepage's news. Happy Holidays from the Chrono X Team! This project is still going strong, despite the lack of updates. We not only worked on online mode, but on future parts of the game. 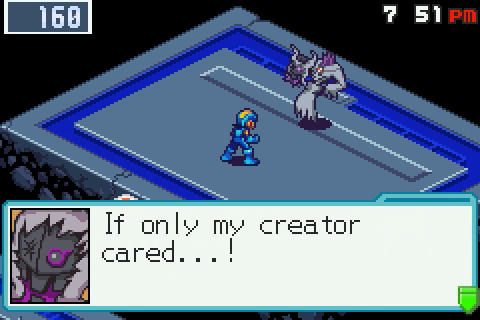 In fact, I would say that we're at the point in the game where the story really gets serious and intriguing. Expect to see a video about the next few chapters soon enough. Secondly, the groundwork is being laid for eventually possible ports to other platforms, allowing more of our fans to get in on the action! 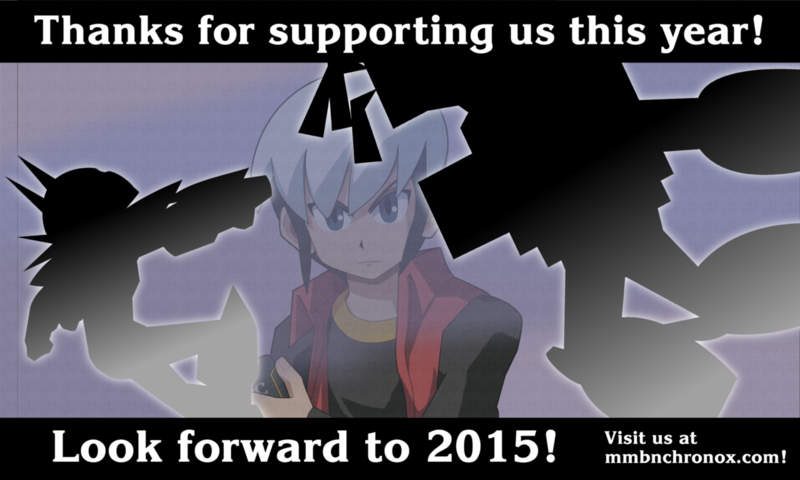 We'll have some surprises in store for you in 2015. See you then! In order to use this feature, you'll need first to setup your multiplayer profile. Don't worry, as this is mandated right after entering the Comm. menus for the first time. 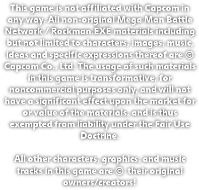 The interaction with people works via the use of what we call the "Battle Network Mate Code". Each player gets their own code right after entering the Mate selection menu where you choose who to trade or battle against. This code can be copied to your clipboard for easy distribution. After adding your friend's code, you'll have to interact with them (via fighting or trading) at least one time before their profile data is saved on your BN Mates List. Once your friend's entry is successfully saved to your profile, you can simply select that person's name from the list menu to interact with without the hassle of re-entering the code each time. You can have up to 15 friends stored at any given time. If another entry gets added to your list while it is full, the oldest data (aka the one on slot 15) gets deleted. Trading won't be available in Demo 4.1 due to the sparse selection of chips available compared to the full-game. Instead, trading will be unlocked via story progression. It is also worth mentioning that the "BN Mate Code" stays permanent in most cases, but for users with dynamic IPs, it will refresh every once in a while. In that case, the other player interacting with such a user needs to re-enter their code manually each time. It is also worth pointing out here that a refresh like that does not affect the records stored on the player's multiplayer profile. And lastly, keep in mind that while I spend a lot of time trying to optimize the connection to make it smooth, latency will always be a concern. Be mindful of this when playing! As hinted at in the video, our multiplayer mode will feature new functionality to be revealed at a later date. Our next update will tell our expected release window. Be sure to look for it!